Is your son or daughter looking for a new select baseball or softball team? Here are some tips to get your kid on the team he or she wants. Perhaps this info will help you position your kid for selection on a top team. Step 1 - Go to the local area league website to gather information. On the league website, you can obtain information on the teams, tryout schedules, the coach's contact info, the records of the various teams, the number of games each team plays, directions to the team's practice and game facilities, etc. Step 2 Create a spreadsheet to record any information that you collect from the league website, other parents and coaches. I created a spreadsheet with the following columns; 1) Team Name, 2) Competition Level, 3) 2010 record, 4) Number of games played, 5) Number of kids on the roster, 6) Team needs, coaches may let you know what positions they are looking to fill, 7) Tryout Dates and Locations, 8) Practice field location, 9) Driving distance from your home to practice or home games, 10) Coach's Name, 11) Coach's email, 12) Coach's Phone, 13) Coach's experience, 14) Notes and 15) Current status. Step 3 Write down your goals and preferences. Think through the following; 1) What level of competition do you want your kid to play, 2) How many games do you want your kid to play, 3) How far are you willing to drive, 4) What kind of coach do you want, 5) Do you want your son to play a particular position, 6) Cost you are willing to pay, 7) Where are your kids friends playing, etc. Step 4 Match up the information in your spreadsheet to your goals and preferences. This will help you prioritize which teams you want to target. Check the tryout schedule. You may find that several teams have tryouts on the same day and time. If this happens, go to the first choice tryout and call the coach of the other team and request a private evaluation. Coaches are looking for talent so they often go out of their way to evaluate kids. Step 5 Prepare for the tryouts. A typical tryout will have several stations. Bunting: The coach will be looking for proper form and execution. Bunt the ball up the lines. Know how to do a sacrifice, suicide squeeze, safety squeeze, slug bunt, quick bunt for hit, etc. Fielding (infield): Be prepared to take grounders at third, short and second base. Also be prepared to play first especially if you are a lefty. Coaches are looking for proper technique and strong and accurate throws. Fielding (outfield): Be prepared to shag fly balls. Coaches are looking for speed tracking down balls, proper technique and positioning and strong, accurate throws. Pitching: Be prepared to pitch whether you are a pitcher or not, however, the coach may not evaluate everyone at pitching. If your son or daughter is a pitcher, they should let the coach know that you are interested in showcasing their pitching skills. The coach will be looking for proper form, velocity, control, the pitches you know, etc. Catching: Your son or daughter should be prepared to showcase their catching skills if they are interested in making the team as a catcher. The coach will be looking for proper footwork on throws to first, second and third, arm strength and accuracy, blocking technique, etc. Step 6 Go to a batting cage before the tryout. If the tryout has 40+ kids, each kid will get a very limited number of pitches to showcase their hitting and bunting. 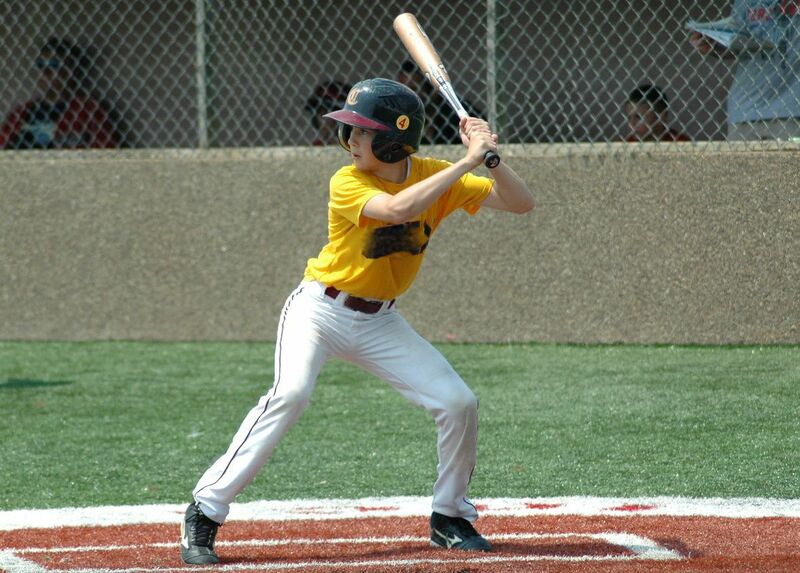 Take your son or daughter to a batting cage prior to the tryout to getting their timing down. Have them practice bunting while they are in the cage. Step 7 Wear something that will standout in a crowd. First of all, wear something that makes you look like a ballplayer. For example, don't wear a concert t-shirt. My son wore the jersey of his former select team to all tryouts. His former team had a great reputation so wearing the shirt signaled that he had played at a high level before. Note: at most tryouts, the current team players will wear their uniforms. To stand out, I would recommend wearing another color. For example, if the team you are trying out for is black and white, then wear something red. Step 8 Get to the tryout early, 30+ minutes early. Coaches will love the enthusiasm and dedication. Make sure your son or daughter warms up their arm during this time. Kids tend to throw extra hard in tryouts to impress, if they are not properly warmed up this could lead to an injury. If your son or daughter is late, they often jump right into drills with no warm up at all, or they miss reps while they are warming up. I recommend hitting grounders to your son or daughter before everyone gets to the tryout. Step 9 Talk on the field and show leadership. One thing that every coach noticed and commented on to me after the tryouts was my son's leadership. My son had been coached very well. He had been taught to talk on the field. I got it, mine mine mine, two, two, two (that means to throw it to second), etc. It seems like a little thing but it shows confidence and knowledge of the game. Step 10 Hustle from station to station. I saw too many kids walking during the tryout. Make sure your kid hustles from drill to drill. Step 11 Introduce yourself to the head coach after the tryout. Tell the evaluator your name and your kid's name. Point your kid out. Coaches will often reveal if they were impressed with your kid. Ask questions to evaluate the situation. It is important to listen, don't talk too much. I heard one parent trying to explain why his son did not do well. The coach told the guy the kid played well, the only concern was his defeated attitude. The dad said, "He has always been that way. He just lacks confidence." Why offer up this information. Through your conversations with coaches, you can learn a lot about the politics of the team and other teams (coaches talk to other coaches). Put the info in your spreadsheet. Step 12 Once you get your offers refer back to your goals and preferences. Evaluate all the information that you have gathered against your goals and preferences. Stay true to them as this will be the place the you and your kid will be most happy. And happiness leads to success. He should constantly say to himself: "I've got three things to do-throw the ball over the plate, field my position, back up the bases." In selecting a pitcher, the manager should look for "Head, Heart and Arm! No.good coach will conduct a tryout them self. not a fair evaluation to the kids. Just came across your blog. There's a lot to like, especially the God story. Amen to that. I just wanted to weigh in on Step 7 in this article. You are half right, a concert t-shirt is a bad idea. But a show-off shirt (from a prior team) is also a bad idea. Just wear a baseball shirt. Any kind will do. It's better than the other approach, which is off-putting. Trust me (lots of experience, as a former player, a coach, and now a dad). I don't think wearing a shirt from a prior team is a bad idea. These kids work hard to get to where they are at and if they are proud of that they should be able to show it off, just like the one's on the current team will wear their uniforms or shirt I feel the other players can do the same. I feel it also shows that they have experience in this type of atmosphere. Yes during tryouts they will show their skills which will show their talent but an added bonus is always a plus. If they have earned it, then it is each players right/choice to wear a past experience shirt, if they choose to. For each parent just remind and teach your kid to always stay humble and coachable. There is always something new to learn or to improve on. They might just learn a new and better way of doing something that they thought they already had down. My daughter has played league ball and select ball since she was 10. She is now in 14u, One thing I always tell her is don't think you are better than anyone, don't look down to anyone, always be a role model and respect your teammates and other teams. Yes put your best defense and offense on the field with your skills but don't ever trash talk or degrade any other player, whether it be your teammate or an opposing team. There are many ways to ensure that your players perform better on the baseball diamond. It is important that baseball coaches are aware of coaching tips that they can impart to their players. 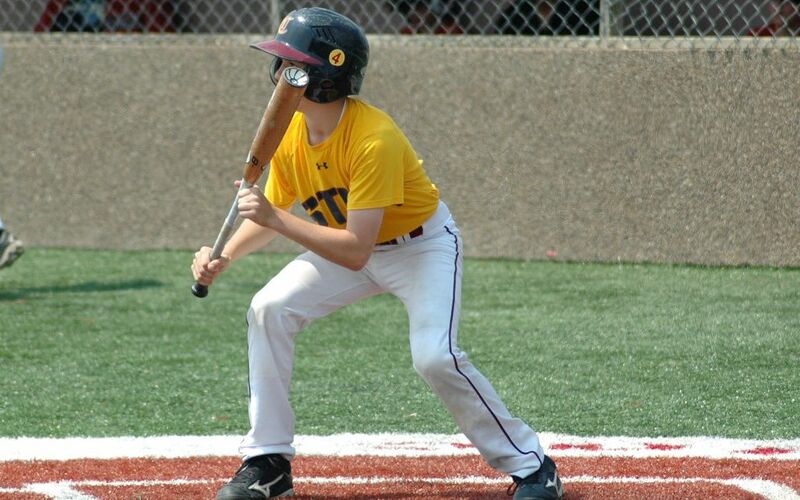 You will see that these youth baseball coaching tips will make a difference in the performance of your team and your enjoyment of the season. Here we will let you know about some essential golf tips that will tell you about the ... At the point when playing golf numerous players are keen on getting the most ideal routes for . start young are much more likely to play golf as adults. — conclusion from the National Golf. Foundation, Report on Junior Golfers. How much is too much? Your article is very helpful for players. Thanks a lot.